PSHE delivery to promote mental health awareness and resilience, or can be read independently by children for enjoyment; the graphic format allows the thoughts, feelings and behaviours to be made explicit and accessible in a visual way, and will be attractive and accessible to children of different ages, abilities and needs; 'Let's talk about' sections accompany each of the stories. 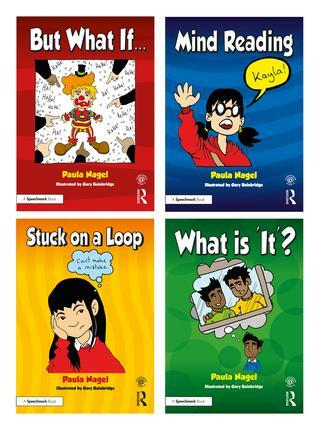 These will be designed to speak to the individual reader and encourage them to interact with the topic through questions and answers, activities etc. These sections can also be used as a teaching resource to prompt discussion and teaching about mental health and emotional well-being; and, offers opportunities for universal teaching as well as targeted intervention.